The internet has revolutionised the way businesses access finance for growth. With so much information available at the click of a mouse, it’s possible for business owners to educate themselves on the options available before approaching a lender. This helps businesses understand their options and ensures that they are getting a suitable finance facility for their growing needs. But unfortunately, for every piece of accurate guidance you can find online there is an array of misinformation that is causing many business owners to be put off accessing funding. Don’t let this false information restrict your business growth. Here we separate facts from fiction by busting five of the most common myths we hear. Given the increase in online application forms, it’s understandable that many business owners believe the fate of their finance request is determined by an algorithm that doesn’t necessarily take all their information into account. But, whilst a lot of the application process has been digitalised, the final lending decision will still be determined by a person and not a computer. When making their decision the lender will look at a wide variety of both objective, number-based factors as well as more subjective considerations, like your business and marketing plan. This is why it can be extremely beneficial to find a funder that understands your business and its industry as their sector knowledge will often increase your chances of success. Ultimately, the main deciding factor will be whether or not the lender believes you will be able to make your repayments on time. So it’s vital that in your application you do all you can to show that you will be able to repay the money. This blog offers 10 ways you can make your business more attractive to lenders to improve your chances of being accepted for business finance. Historically, new businesses would have been in a challenging situation when looking for finance to grow their fledgling company. Desperate to get the necessary working capital to get their business off the ground, but with little trading history, their funding options would have been limited. Fortunately, this is no longer the case. The commercial finance market has grown substantially and there is now a wealth of finance options for start-ups to choose from. Some facilities, such as start-up loans, can be secured based on a business owner’s personal finance history whilst working capital can also be released from the company’s sales ledger or other assets through solutions such as invoice finance or asset finance. So, if your business is still in its early stages, you needn’t let a lack of funding hold you back. Download this free guide to business finance for start-ups to explore some of the options available to new businesses. We get it. You have your business account, savings account and credit card all with the same bank so when you’re looking for funding to grow your business you automatically go to your bank manager first. But, this could be doing more harm than good. Your bank manager will only be able to discuss finance options that they are able to offer. This could lead to your business securing a funding facility that might not be suited to its needs. For example, if you need funding to purchase new machinery, asset finance might be a better fit than a business loan. Or, if you want to boost your cash flow to take on new orders, invoice finance solutions may be an ideal option. Whatever your funding need, to ensure your business is getting the most suitable facility for its requirements you need to research all of the options available, not just the select few offered by your current provider. This infographic looks at 8 ways you could fund your business without relying on a bank loan. With so many businesses still using their bank as the first port of call, it’s not surprising that these borrowers only turn to alternative lenders after being rejected. 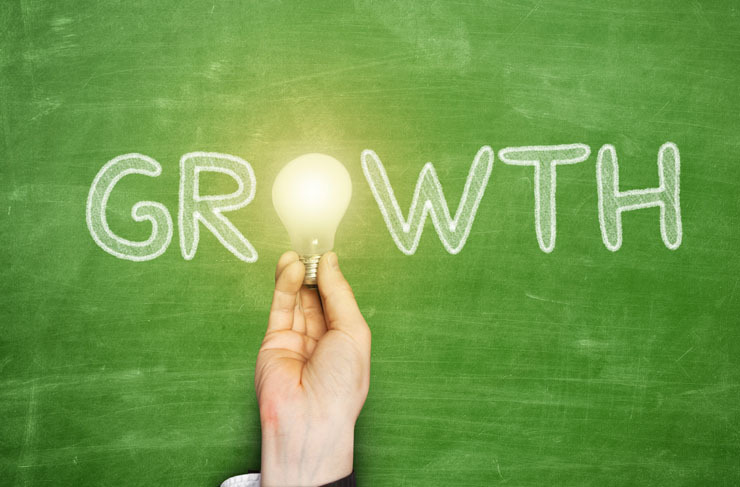 But there are a number of reasons why business owners choose alternative options to help their business reach its growth ambitions. Whilst a bank loan will simply inject funding into a business, many alternative options come with additional benefits such as increased flexibility, better rates, industry expertise or additional services. For example, as well as providing fast access to working capital, invoice factoring solutions also include a dedicated sales ledger management service to reduce in-house overheads and improve collection times. This blog post explores five benefits of invoice factoring and how it could change the way you do business. Whether you’re looking for fast access to working capital to take advantage of a new order or you’re looking to expand your current offering, you’ll be eager to know how quickly you can get your hands on the funding needed to grow your business. Whilst it’s true that different funding products and providers have varying approval times, many lenders will be keen to get your application reviewed and approved as soon as possible. Often, it’s the time taken to research and compare options and then compile all the relevant documentation that takes the longest. A commercial finance broker can help in this process by using their market expertise to quickly identify the best facility and lender for your specific needs so that you don’t have to approach each individual lender separately. The important thing to remember here is that the sooner you take action and apply for funding the quicker you’ll have money in your account. So don’t let this fear of long approval times stop you from accessing the vital funds for growth. Here’s how we helped a recruitment business quickly secure a funding facility to bridge a cash flow gap caused by two key customers changing the credit terms they impose on their suppliers. If your business needs finance for growth contact us on 0800 9774833 or info@hiltonbaird.co.uk to discuss your requirements with one of our expert funding consultants.